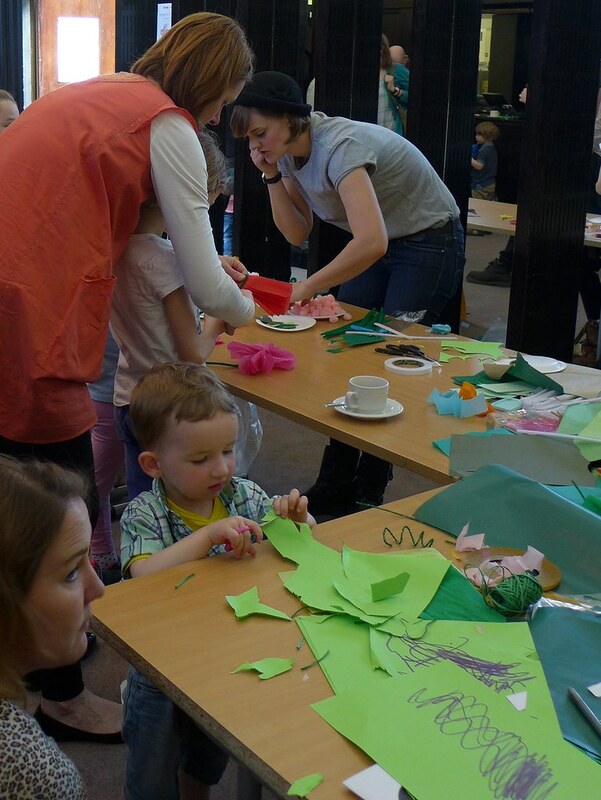 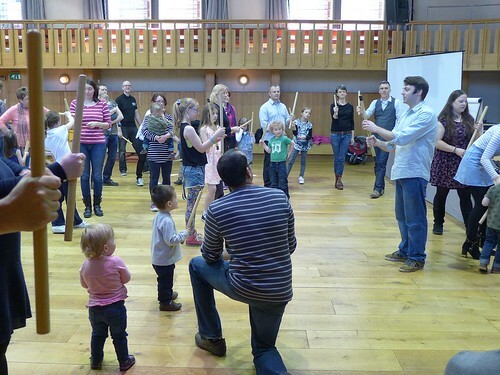 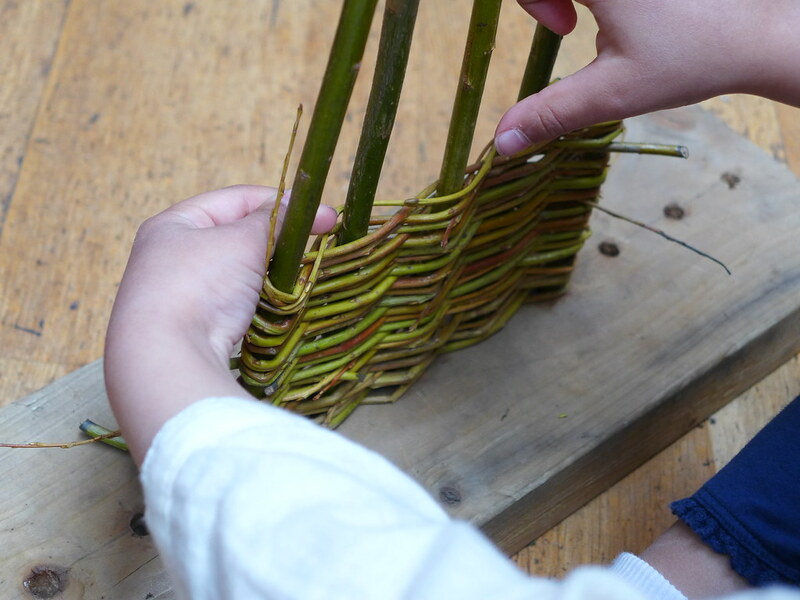 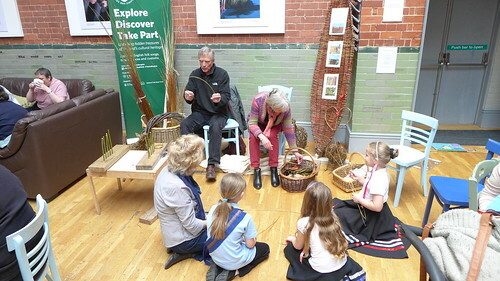 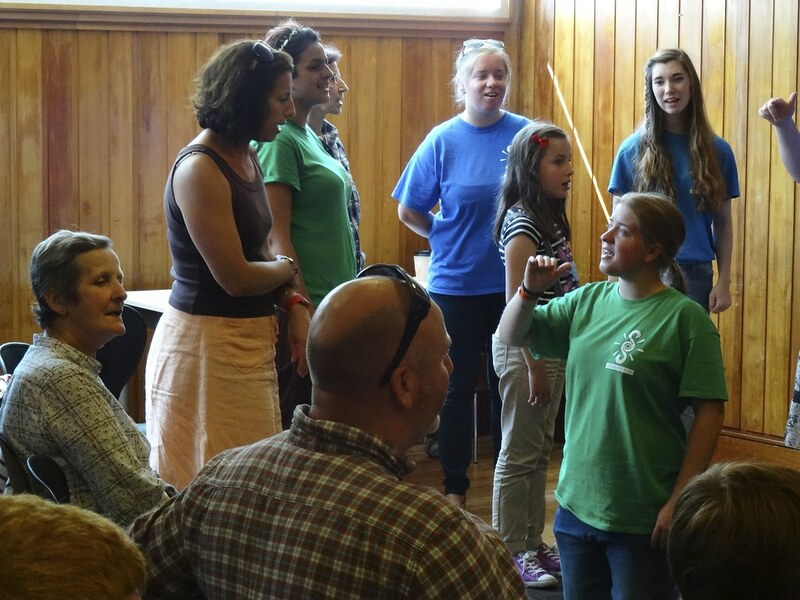 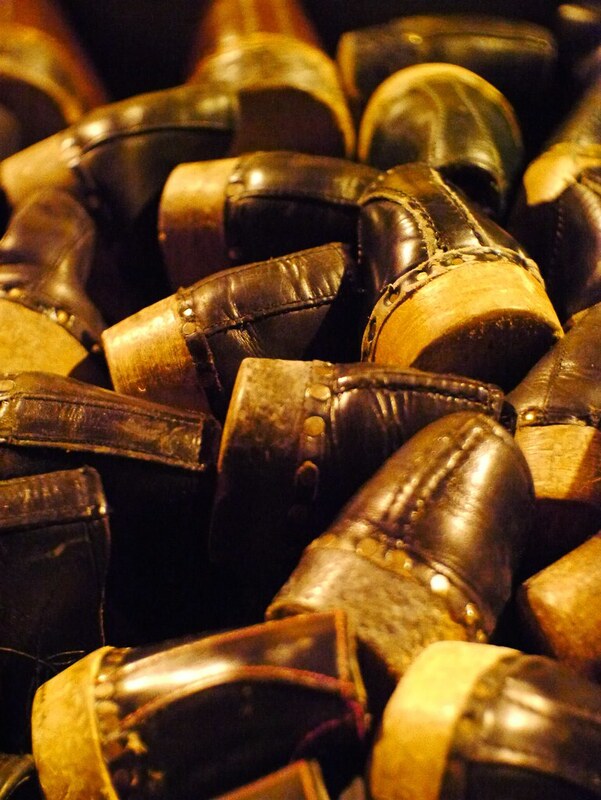 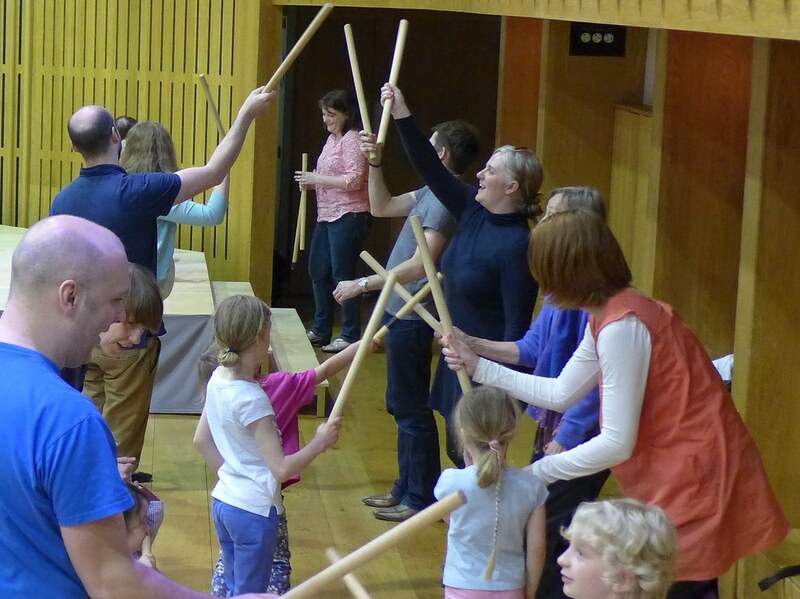 The Full English family taster days were an opportunity to engage family audiences in practical folk activities. 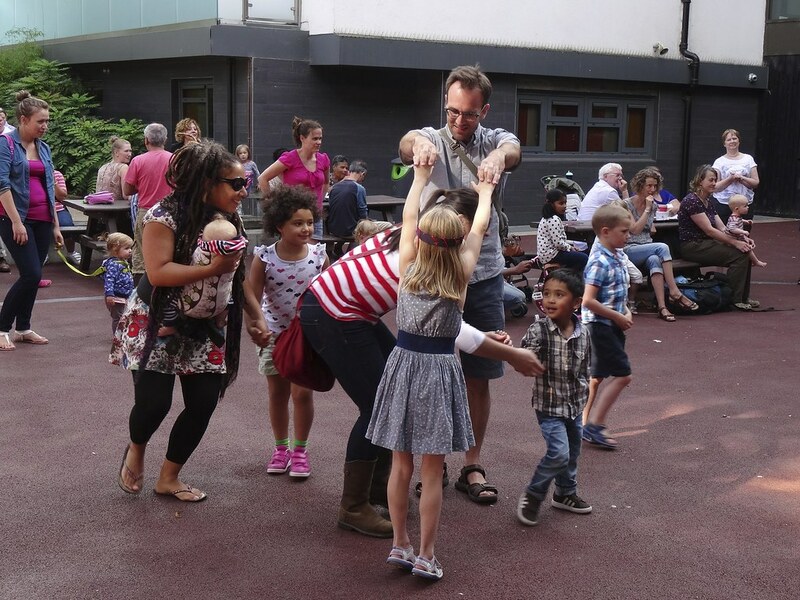 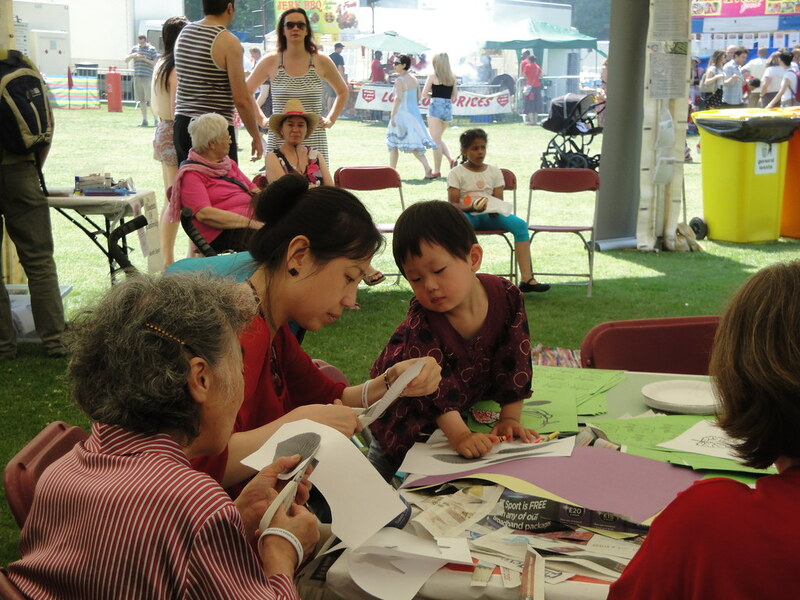 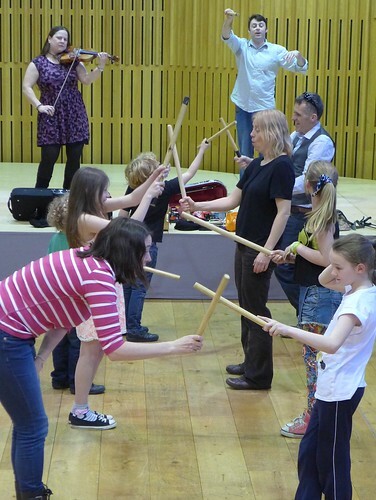 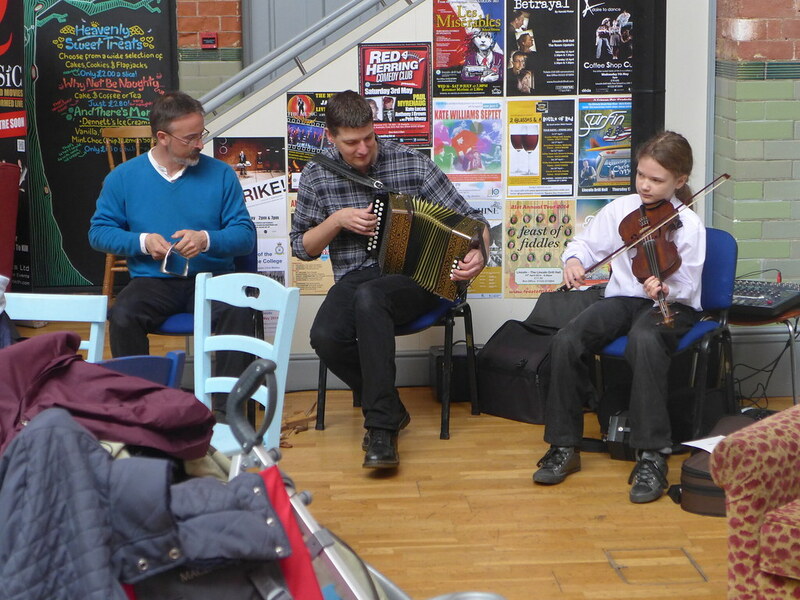 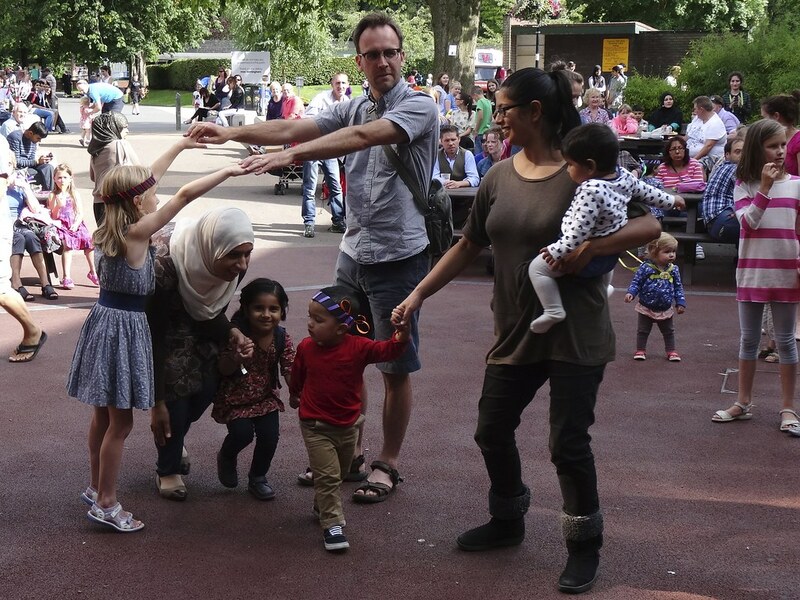 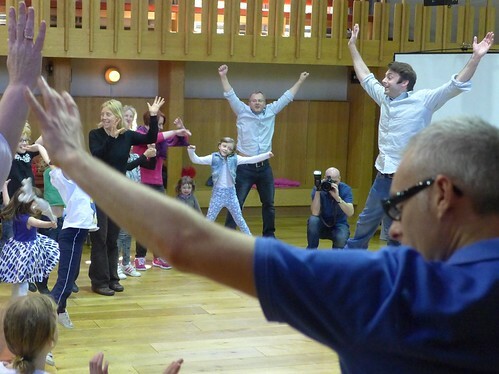 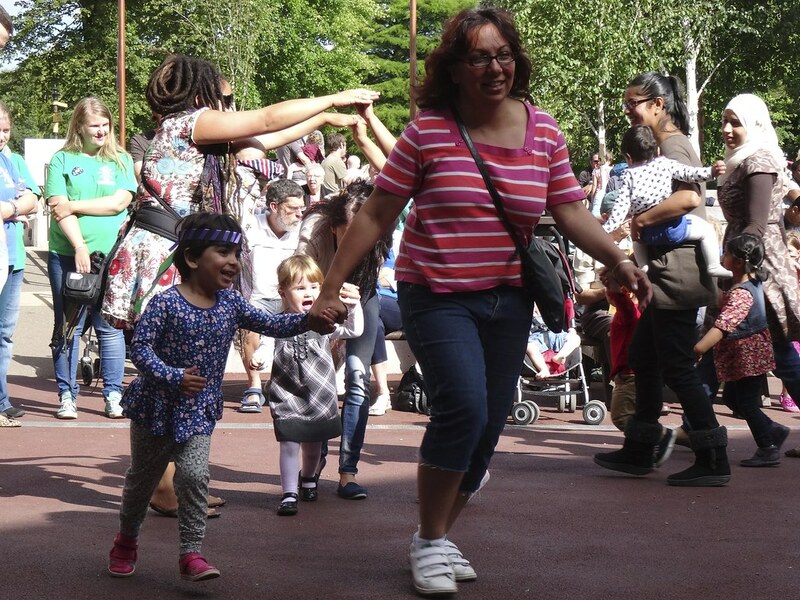 Working closely with our cultural partners, each event offered a range of folk music, song, dance and craft activity for families to learn and take part in. 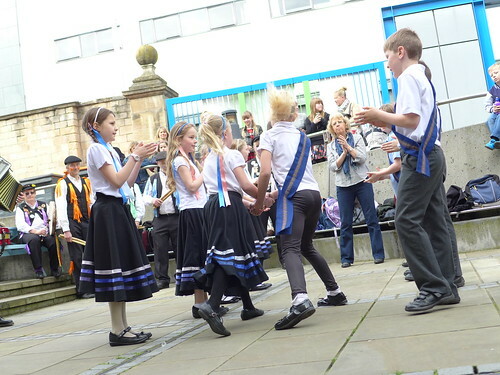 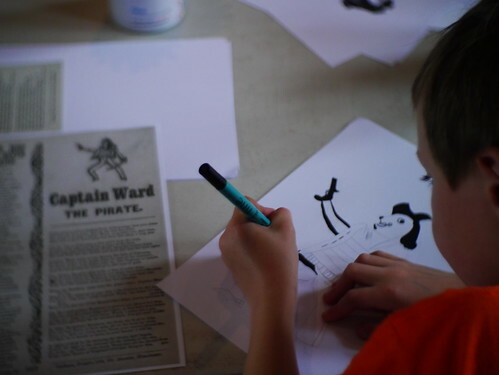 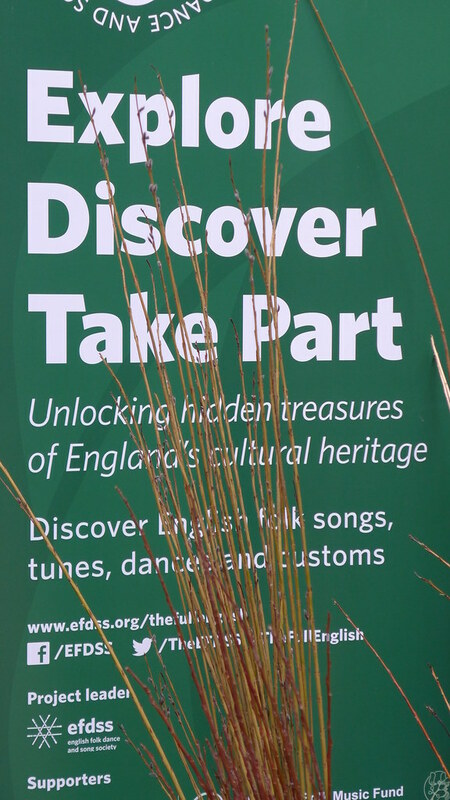 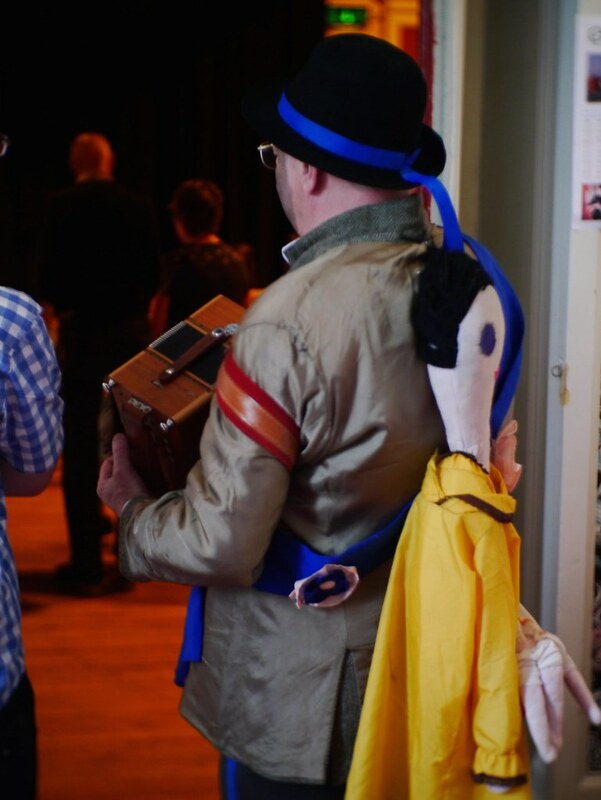 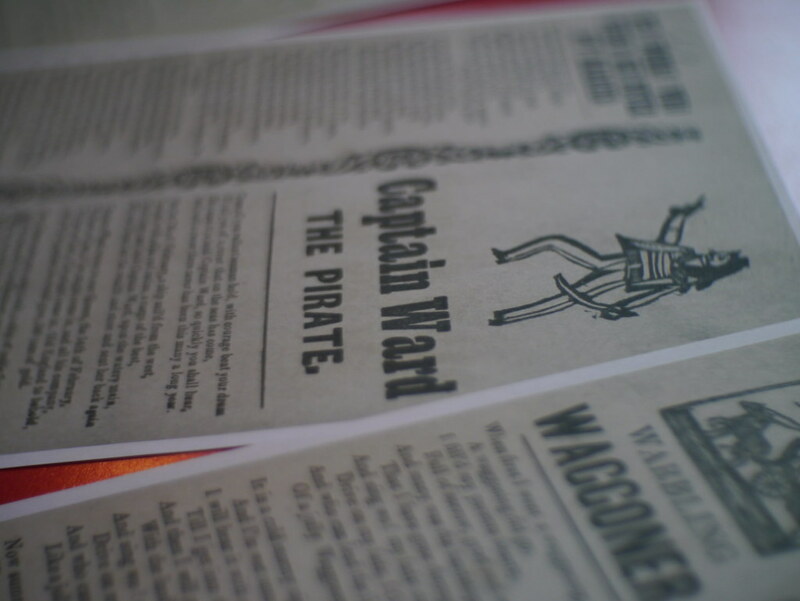 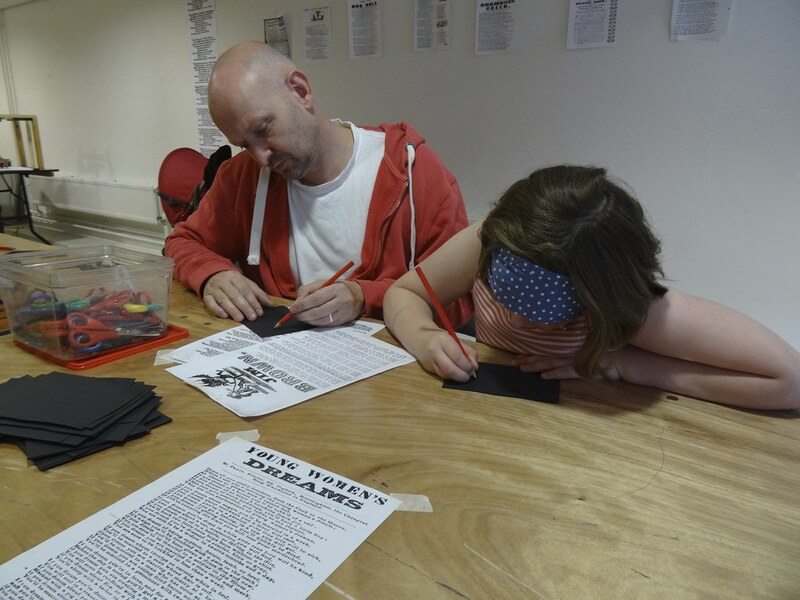 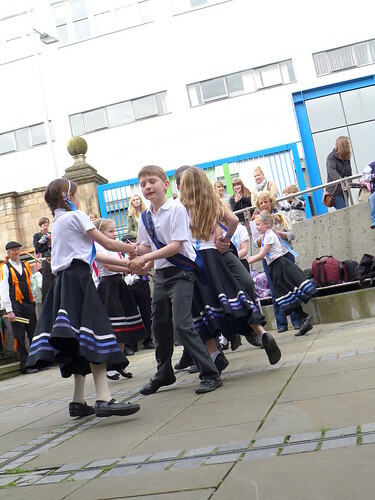 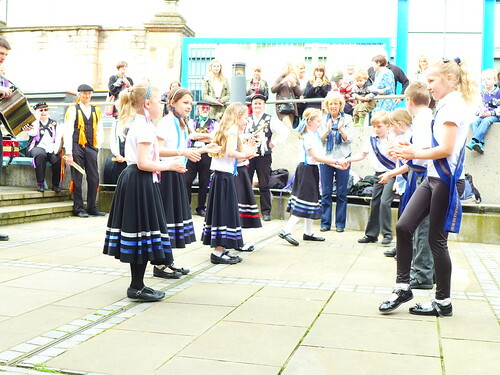 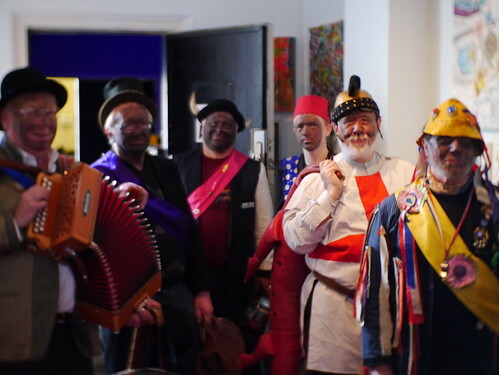 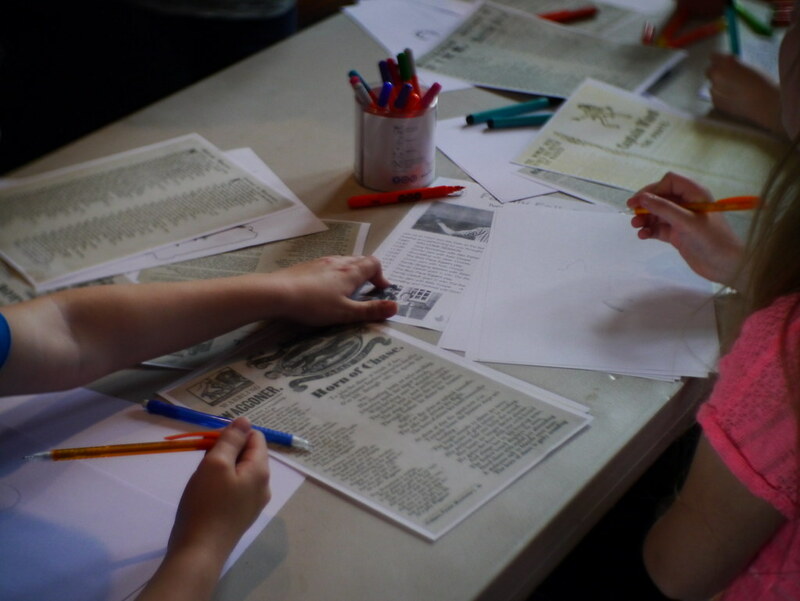 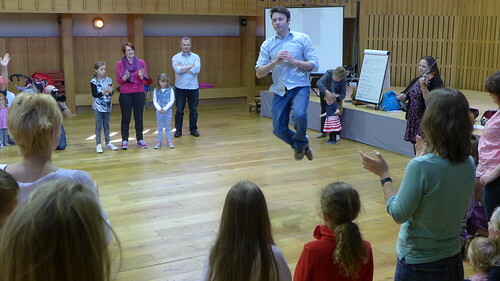 Some events included family ceilidhs, family music and singing workshops, as well as maypole and morris workshops, and throughout the events we tried to make links to local The Full English digital archive material. The vital components were that it was an opportunity for practical involvement in folk arts, and extended access to folk arts to a new audience. 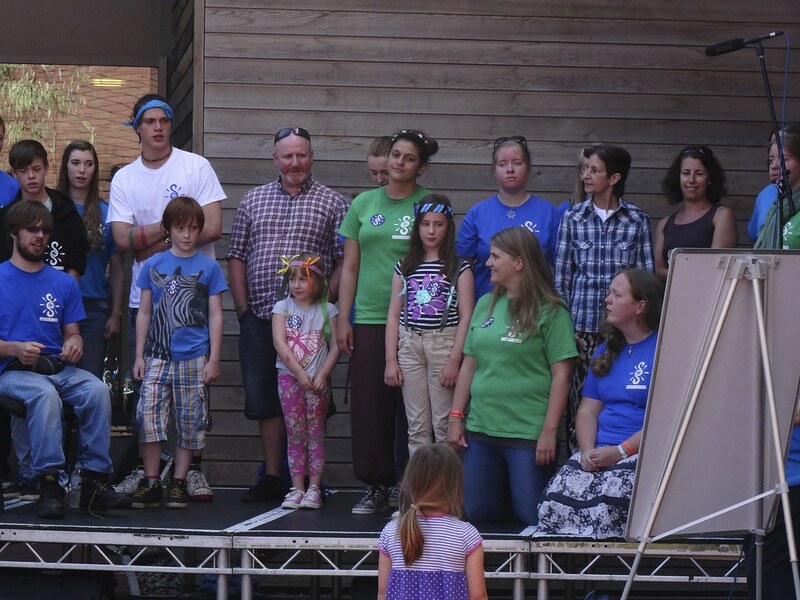 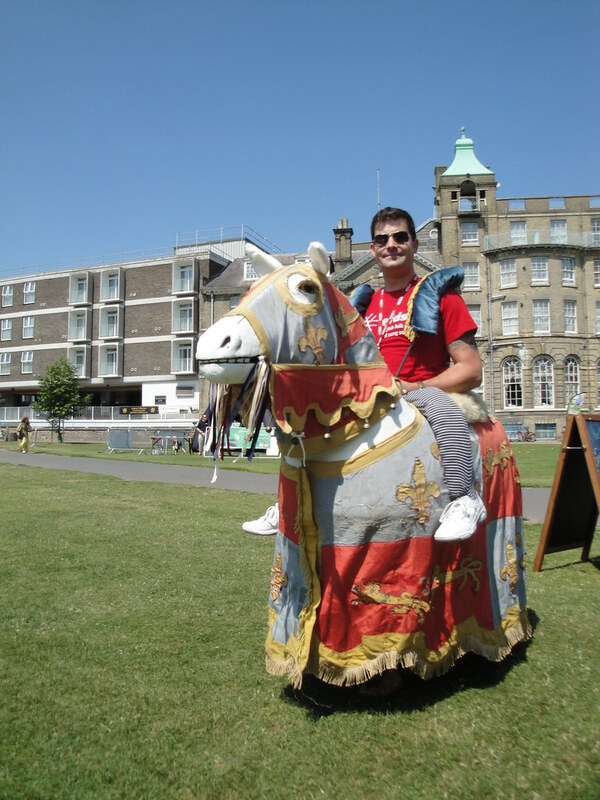 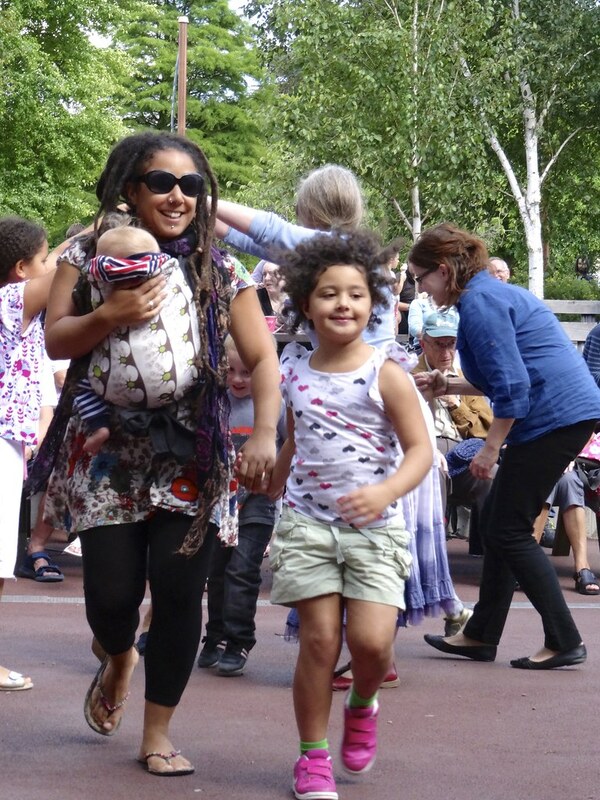 The Full English family programme got off to a flying start at The Big Weekend in Cambridge on 6 July 2013. 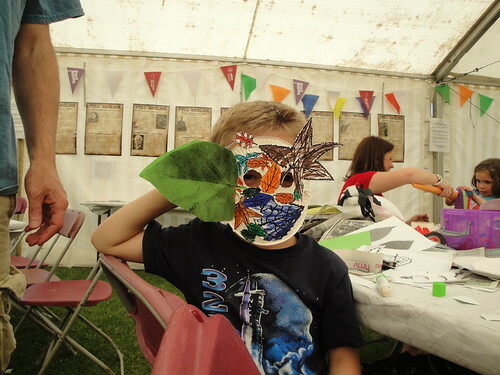 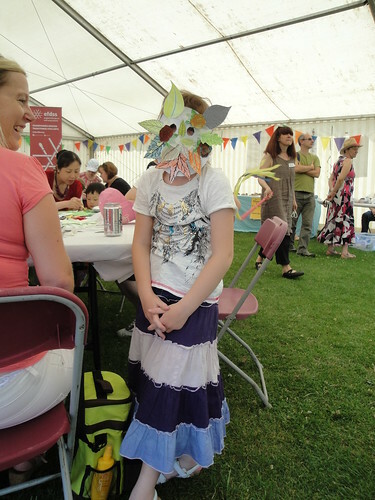 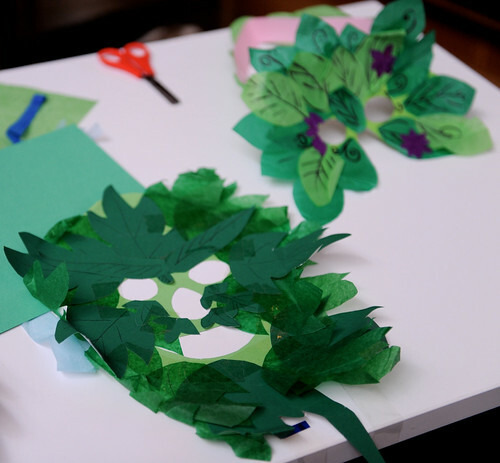 We had a range of craft workshops making mummers costumes, green man masks and contributing hand prints to a big communal, summertime, Jack-in-the-Green! 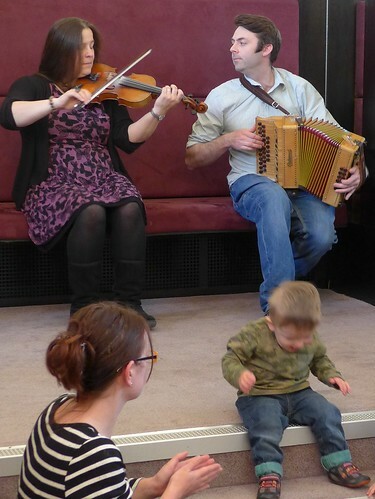 Local Cambridgeshire folk musicians, Mary Humphreys and Anahata, joined us for the day, and led some wonderful childrens games collected by Cecil Sharp from Littleport, a town north of Cambridge. 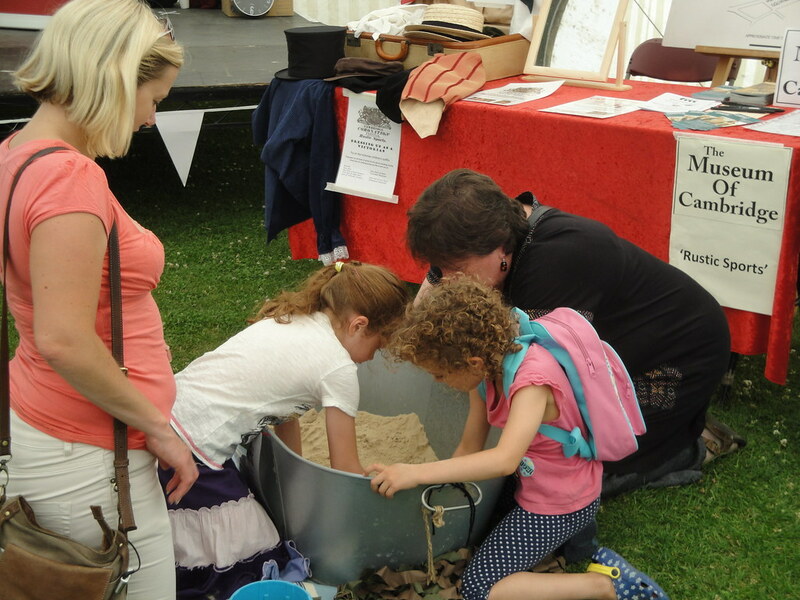 We were very pleased to welcome the Museum of Cambridge too who brought a range of local 'rustic sports' including grinning competitions, searching for pennies in a bath of sand and biscuit eating competitions. 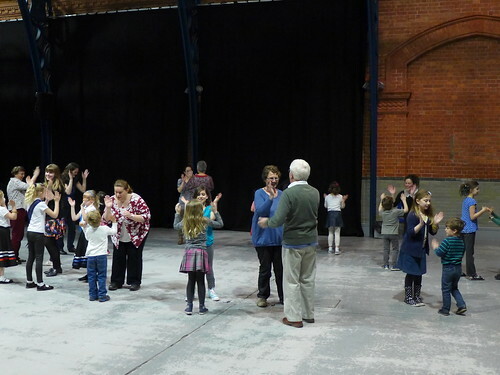 From grannies to toddlers - everyone was able to join in. 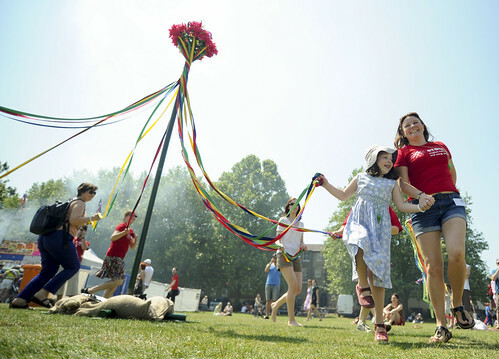 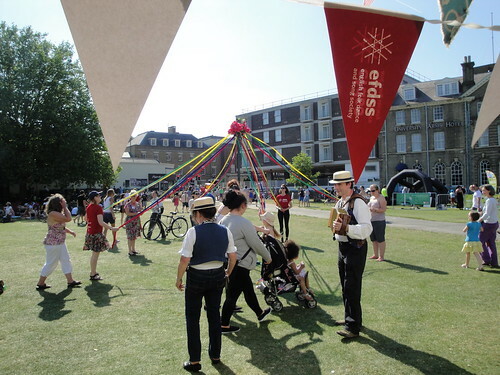 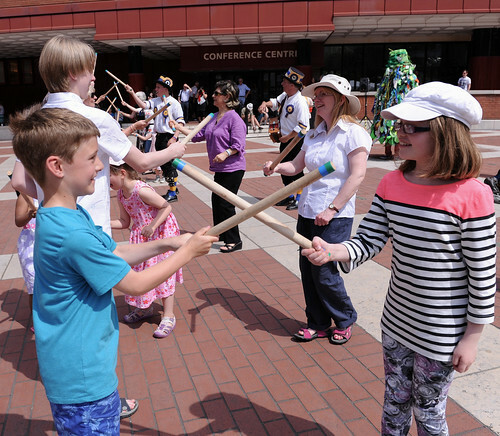 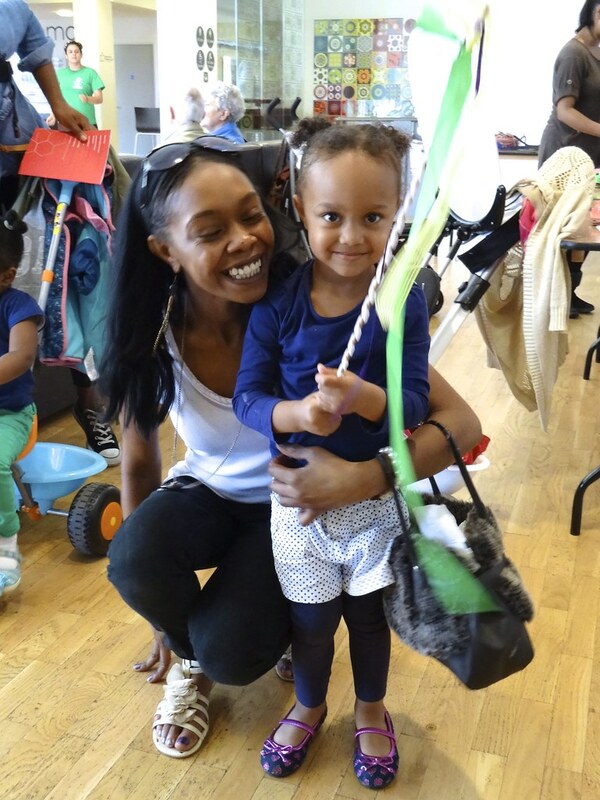 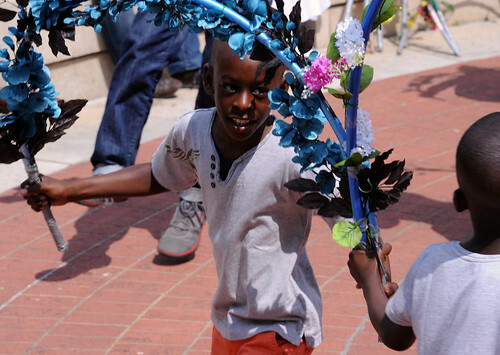 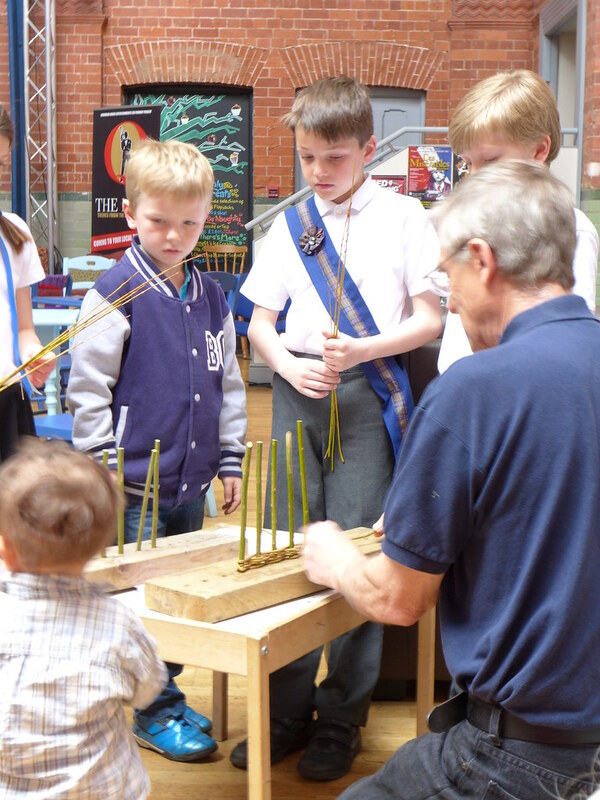 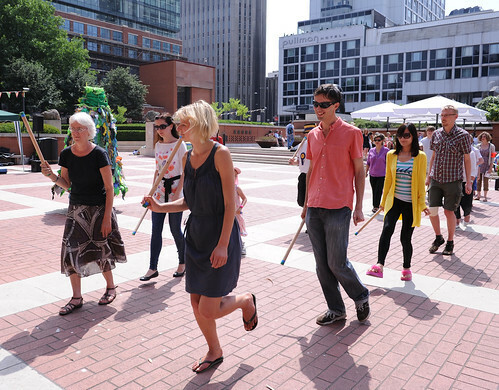 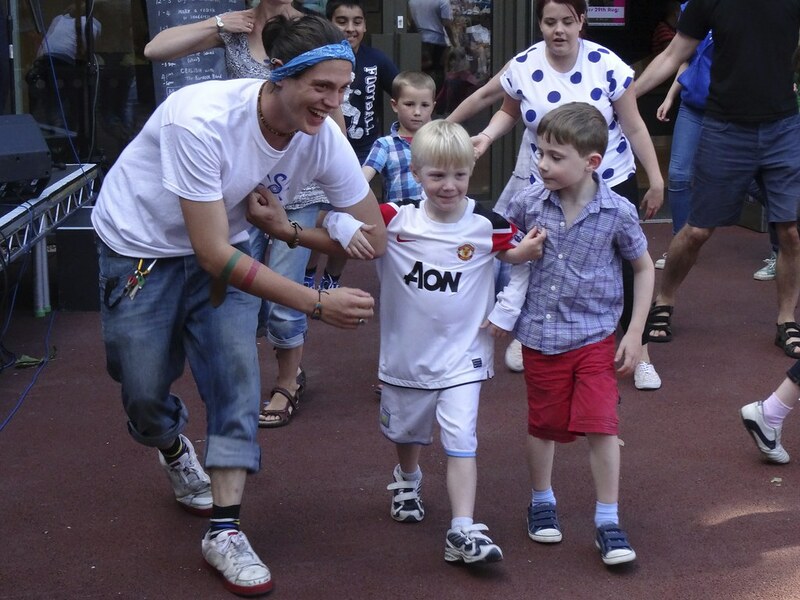 We even had lots of people keen to join in maypole workshops – amazing on one of the hottest days of the year! 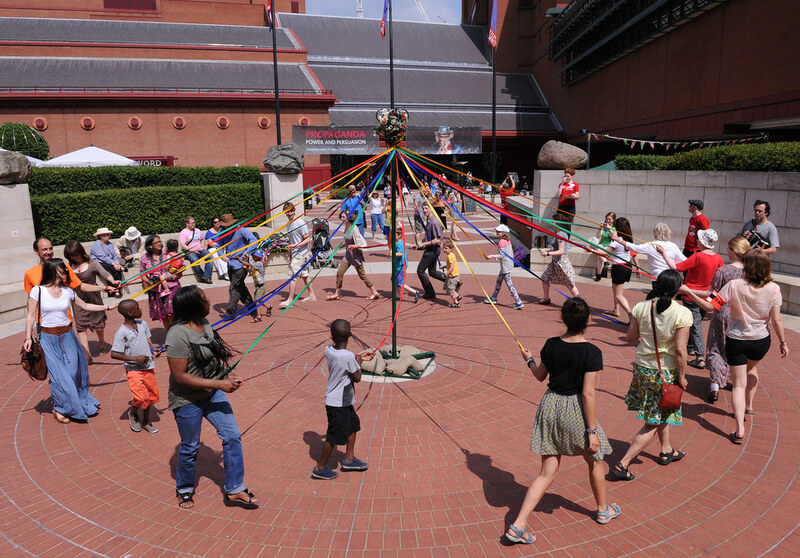 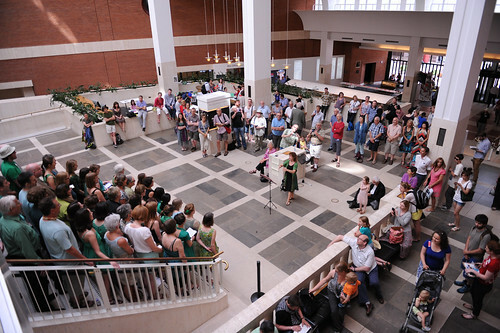 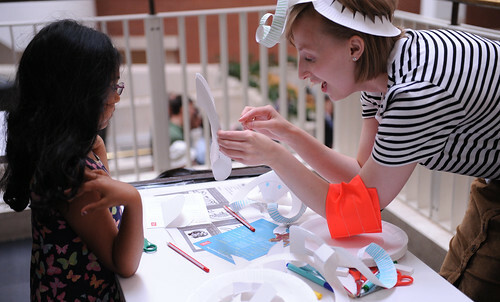 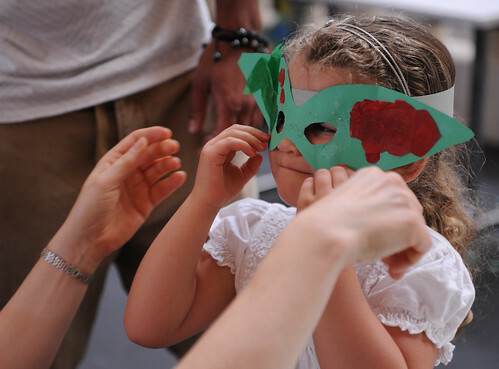 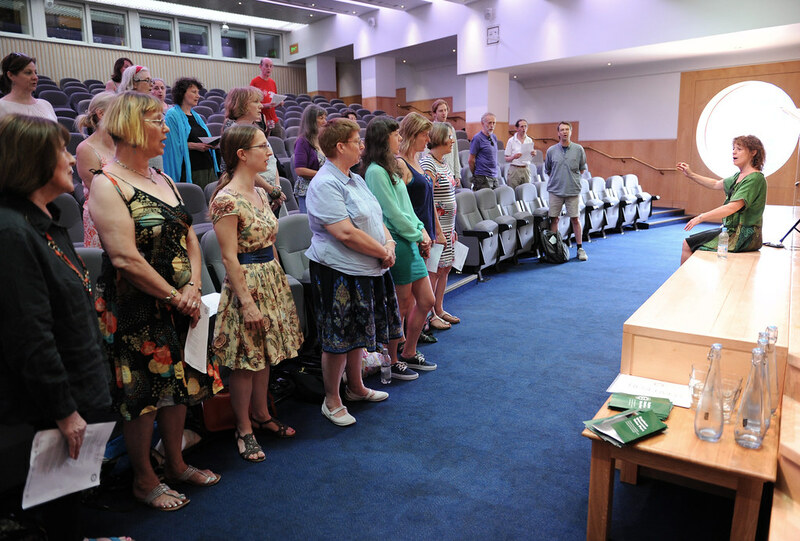 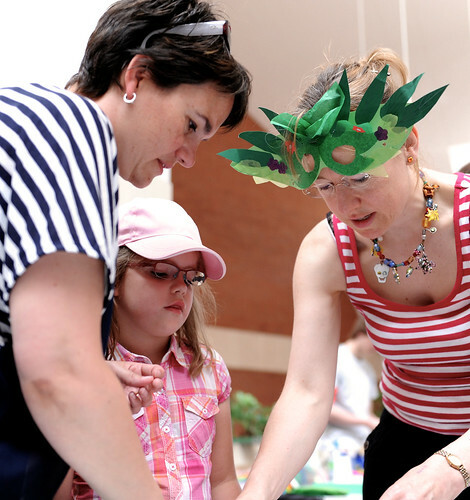 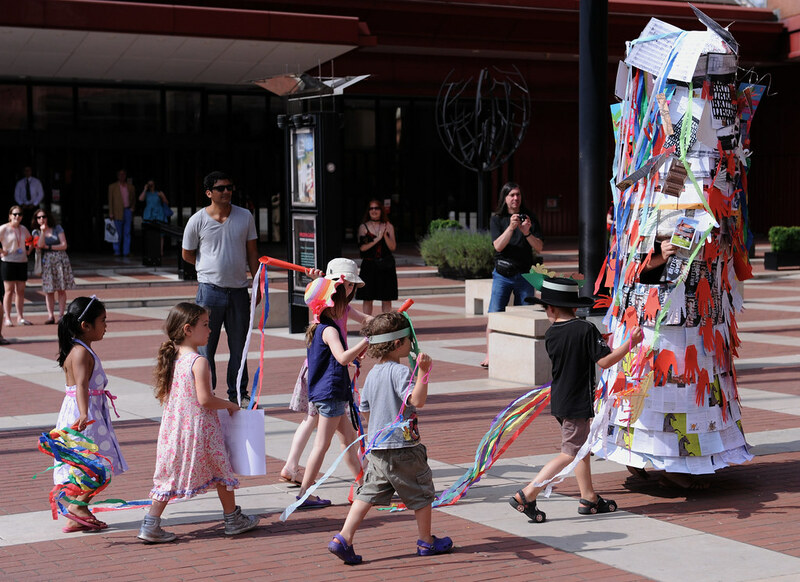 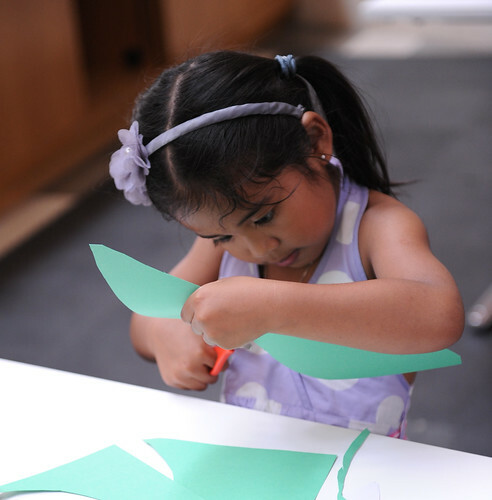 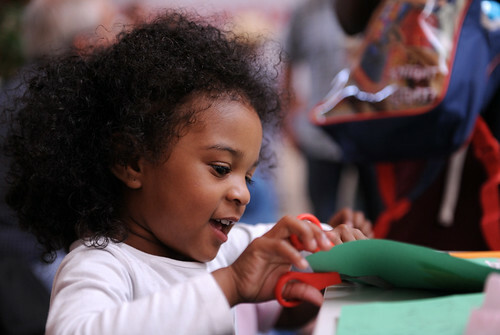 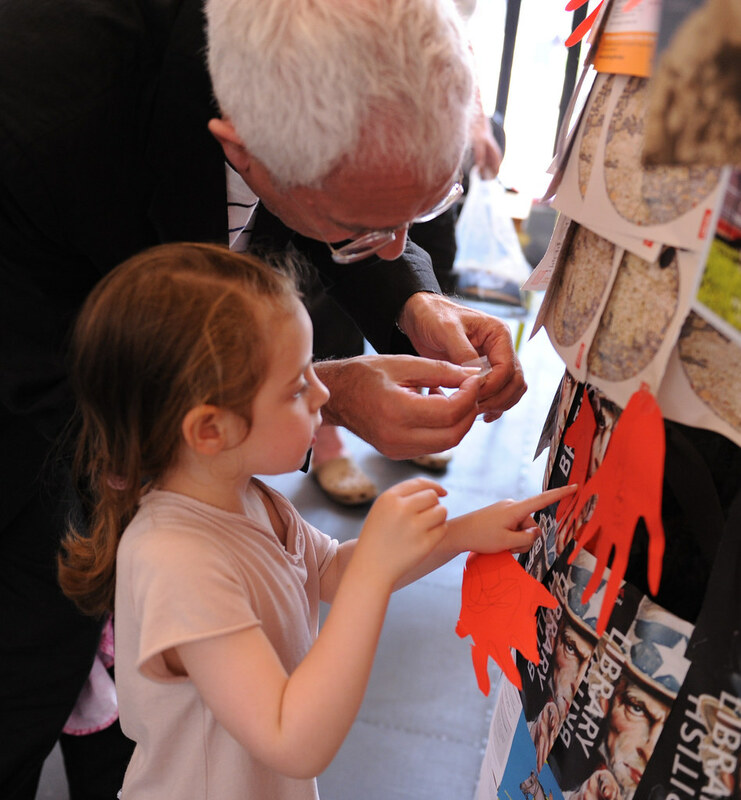 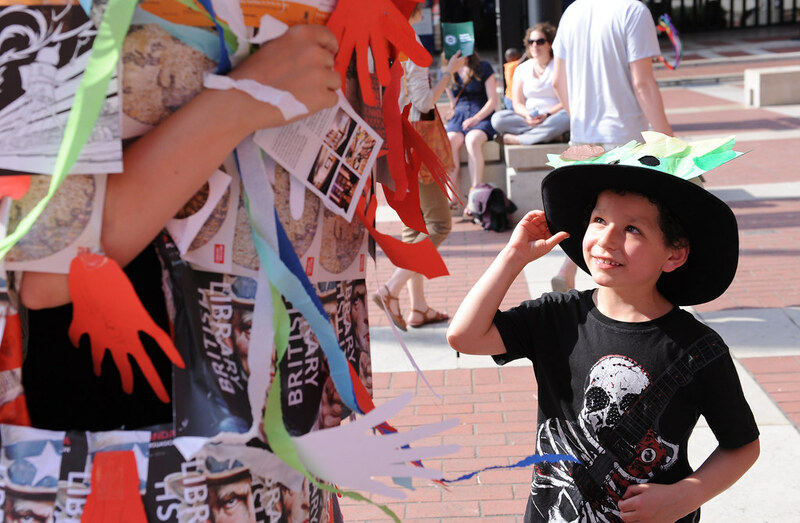 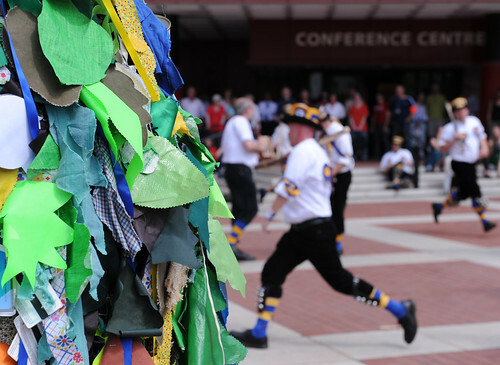 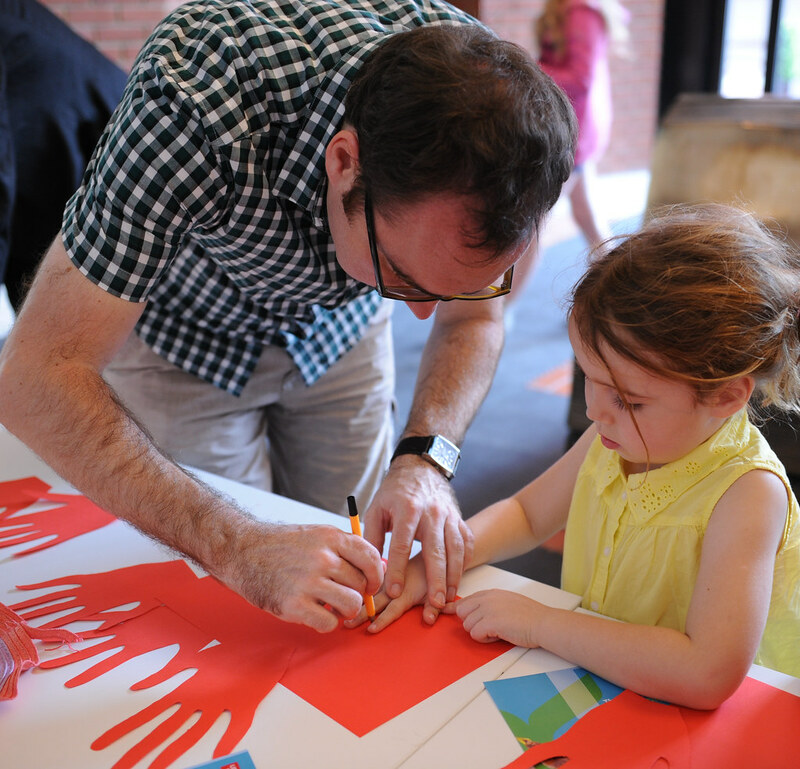 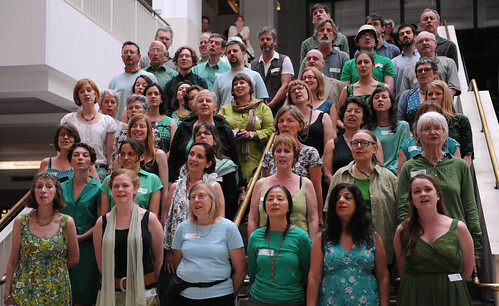 On Saturday 13 July 2013 The Full English Discovery Day took over The British Library with a fully packed day combining family activities and community performances. 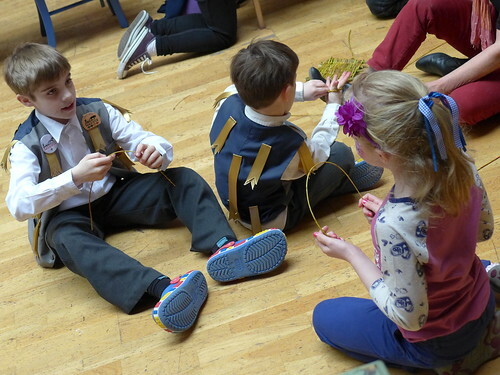 Hundreds of people came and took part in traditional folk arts crafted folk head dresses and masks; danced, sung and made music in a range of workshops; watched dance displays from Hammersmith Morris Men, Camden Clog and Thrales Rapper and music performances from the London Fiddle School led by Pete Cooper, the Cecil Sharp House Choir, and the Royal College of Music Junior Department Chamber Choir; and listened to talks and discussions led by Dr Janet Topp Fargion, Lead Curator of World and Traditional Music at The British Library and featuring Malcolm Taylor, Steve Roud and Shirley Collins. 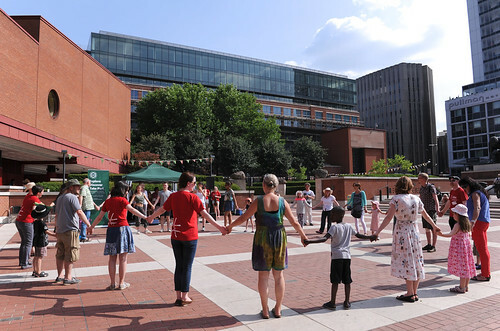 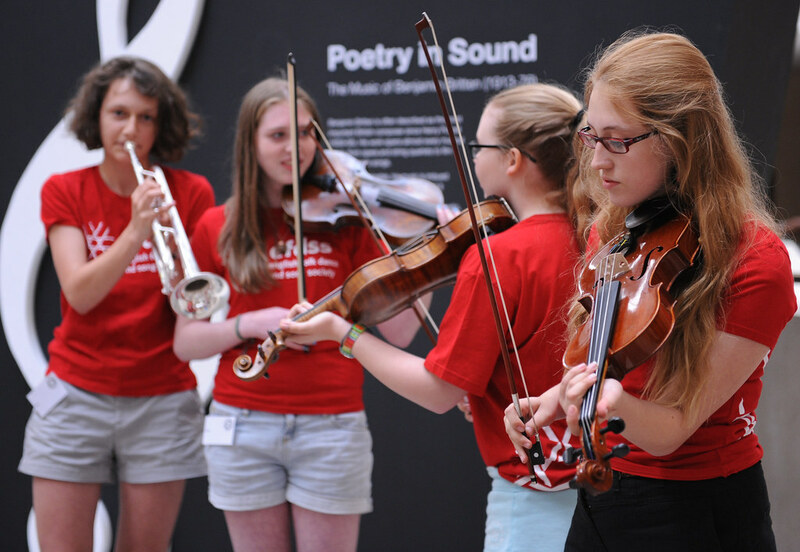 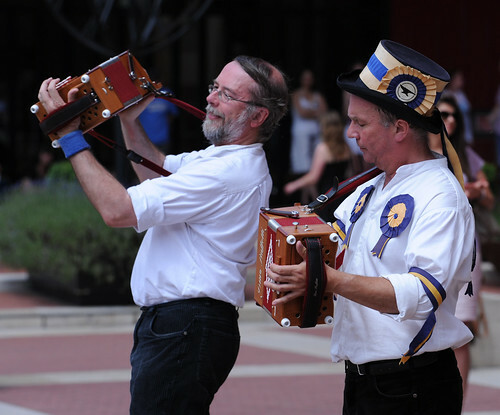 Basked in great British sunshine, the day was packed with fabulous folk themed activities and events inspired by The Full English digital archive collections – of which Percy Grainger and Ralph Vaughan Williams’ original manuscripts which are stored within The British Library collections. 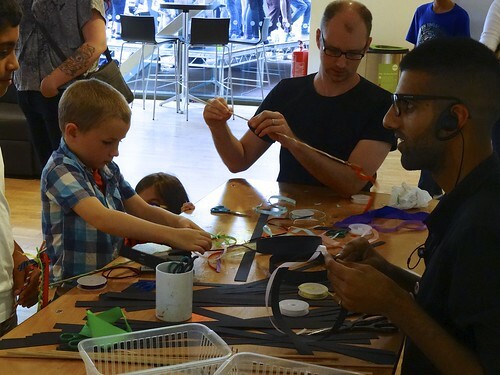 August then saw The Full English pop up at the ‘Brummagen Fair’ – a family taster event organised by our partners mac (midlands arts centre) in Birmingham. It offered a chance to discover Birmingham of old inspired by songs and stories found in The Full English digital archive. 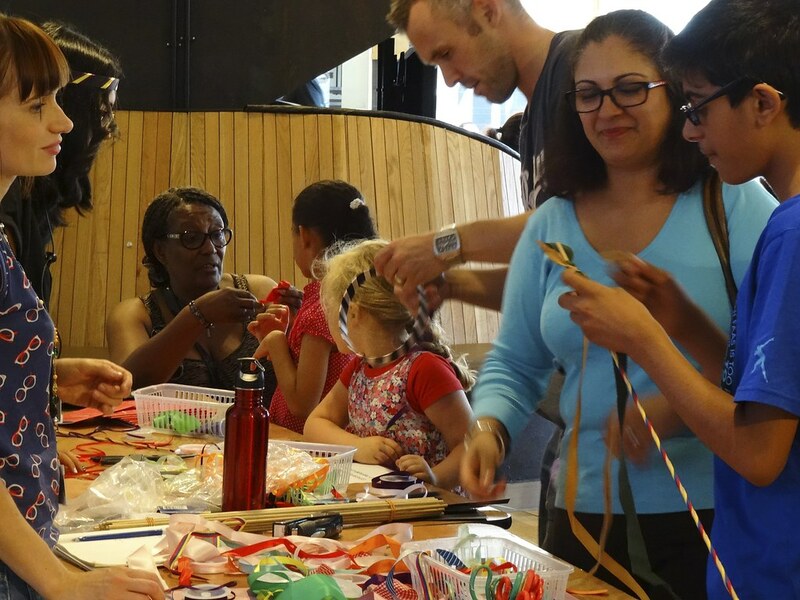 It involved digital animation, craft and arts workshops, and a free family singing workshop featuring a song local to Birmingham.